A stylish and superbly presented modern detached family home split over 3 floors, having 5 double bedrooms, 2 ensuites, 2 bathrooms, tremendous open living kitchen, numerous appliances, air source heat pump, double glazing, garage, rear open farmland views, hallway, open living kitchen, snug, office, utility, 1st floor landing, 3 bedrooms, 2 ensuite with dressing room, bathroom, 2nd 2 further bedroom and contemporary bathroom. Air source heat pump, situated within an electric gated driveway serving properties. 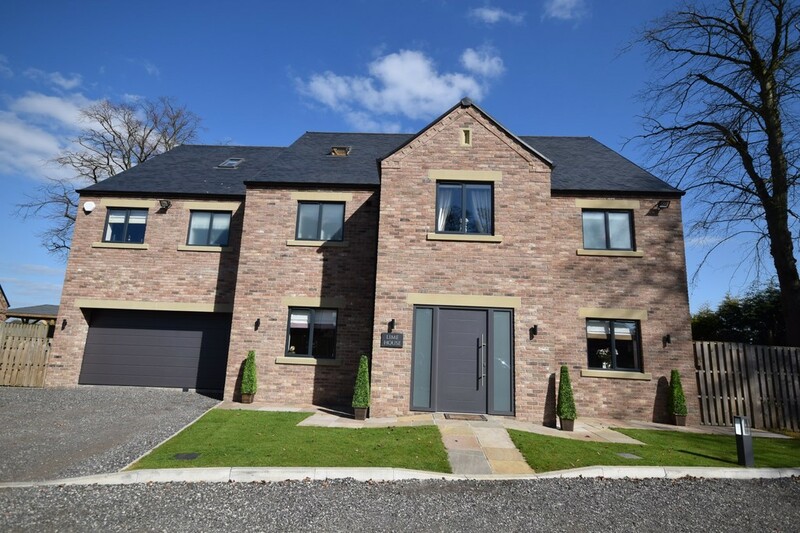 A truly superb and stunning 5 bedroom detached family home, built to a high specification, with the accommodation arranged over 3 floors, and is situated in this popular rural village of Sykehouse. 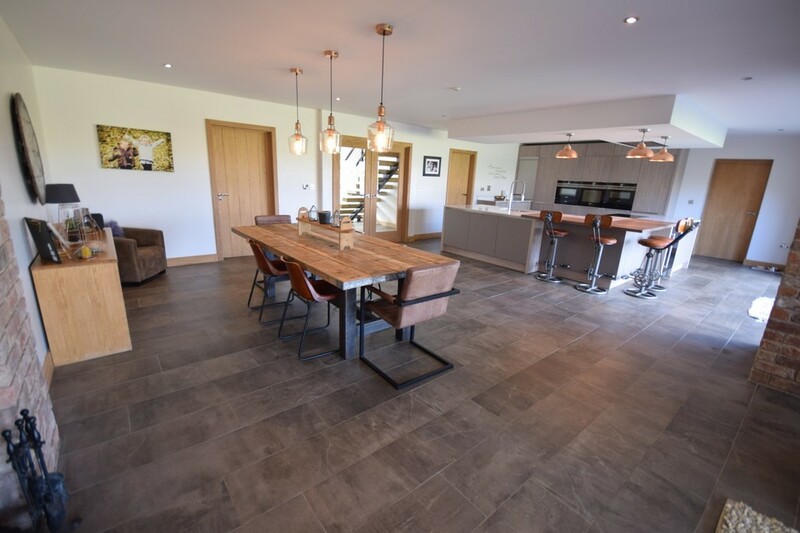 The property includes a modern and contemporary open living kitchen with bi-fold doors opening out to the garden, with spectacular views over open fields to the rear. 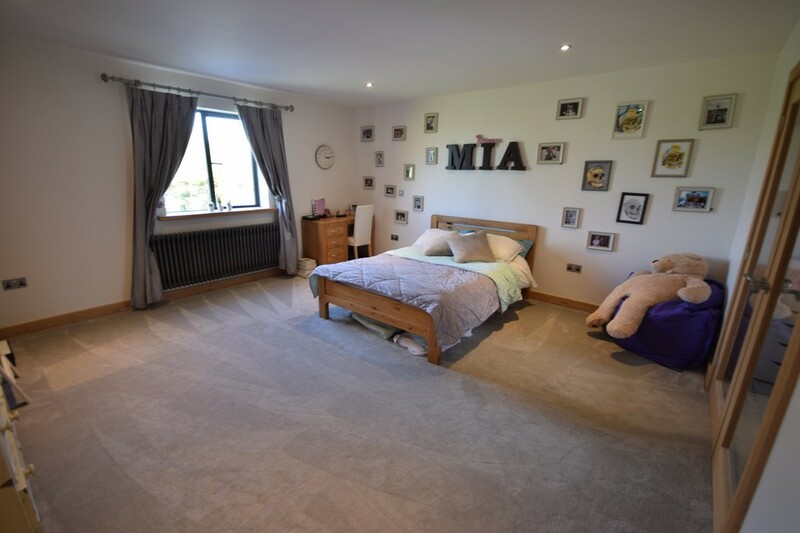 This modern property provides excellent accommodation, with beautiful ensuites and bathrooms, contemporary kitchen with numerous appliances, air source heat pumps for the underfloor heating, and an excellent standard of internal accommodation and decoration throughout. The property is certainly worthy of an inspection and comprises of: entrance hall with wrought iron and sleeper staircase rising to all floors, open plan dining kitchen with numerous contemporary appliances, that flows into a sitting area with bi-fold doors out to the gardens, snug, office, utility, downstairs w.c., first floor: 3 double bedrooms, one with dressing room and ensuite, master bedroom with walk in wardrobe and ensuite, modern bathroom; second floor: two further double bedrooms and luxurious family bathroom. The property is accessed via electric opening gates to a shared driveway, with an integral garage, and off road parking. 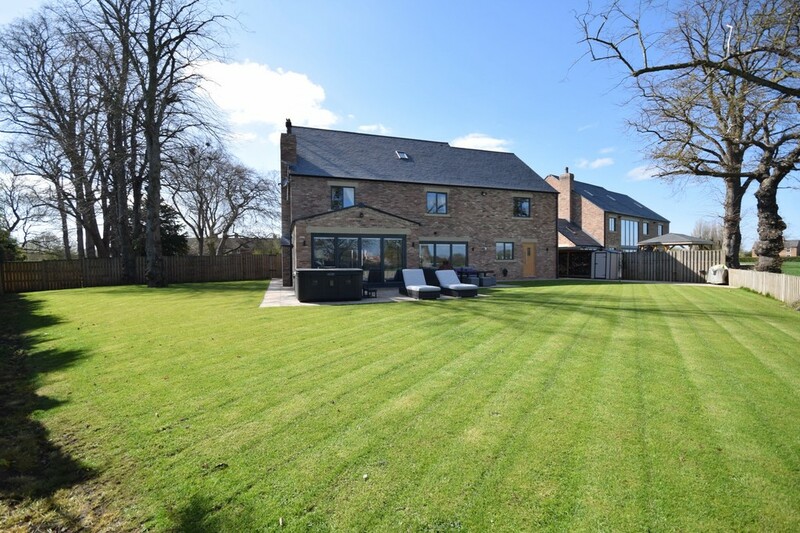 The rear gardens stretch the full length and width of the property and down the side, and certainly enjoys the commanding open farmland rear views. 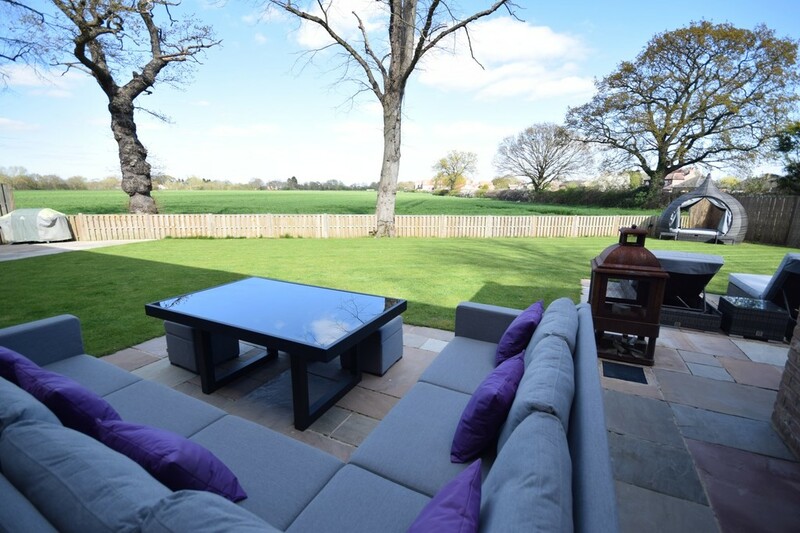 The rear gardens have been designed to include a paved patio and seating area, which is great for entertaining. This extremely magnificent property certainly requires an internal inspection. 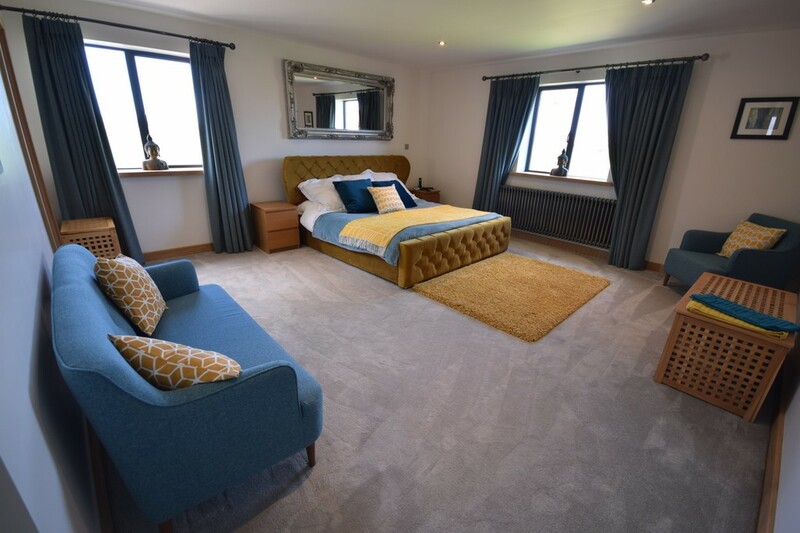 The popular rural village of Sykehouse is situated approximately 13 miles north of Doncaster town centre, accessed via the A19 or A614 leading to the M18/M62, opening up many other regional areas within comfortable distance. On entering the village continue onto Broad Lane in the centre of village, passing the village pub, with Whispering Meadows on the right side. Continue along, taking your right hand turning onto Chapel Lane. Proceed down Chapel Lane, and take your right hand access, where the property can be found. 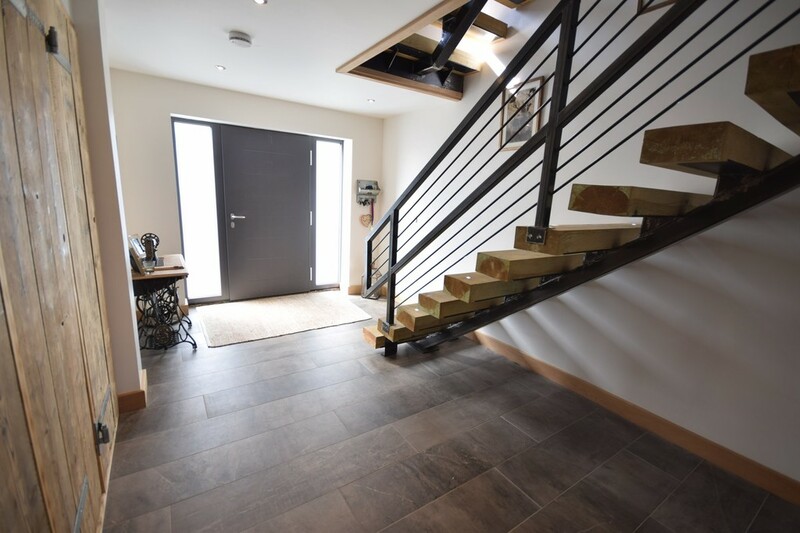 ENTRANCE HALLWAY A contemporary external door opens to this excellent entrance hall with wrought iron staircase and sleepers with feature lights rising to both landings. 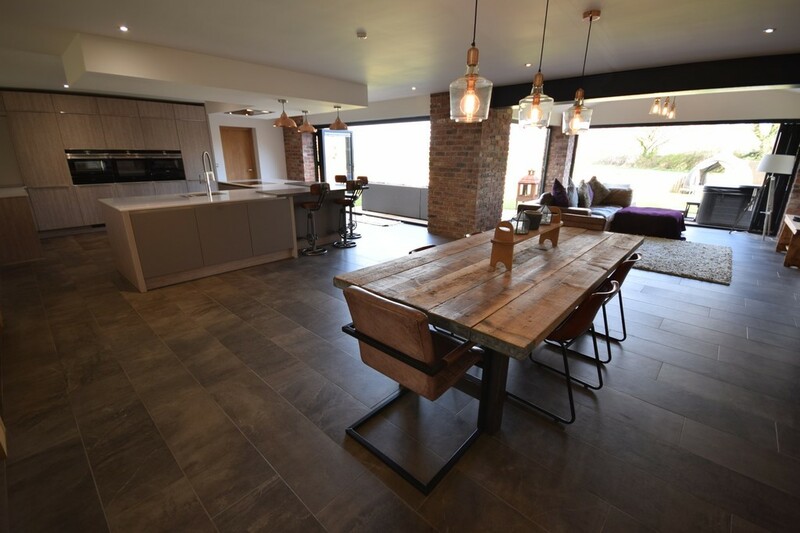 Handmade wooden cloakroom door adds to this rustic interior and opening doors to this superb open dining/living kitchen. 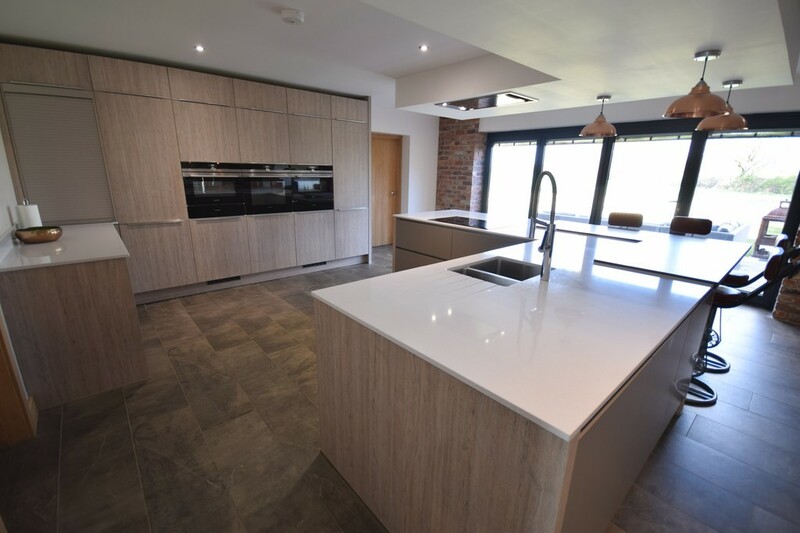 OPEN LIVING KITCHEN 33' 5" x 18' 6" (10.19m x 5.64m) A superb and contemporary room that provides modern contemporary living. 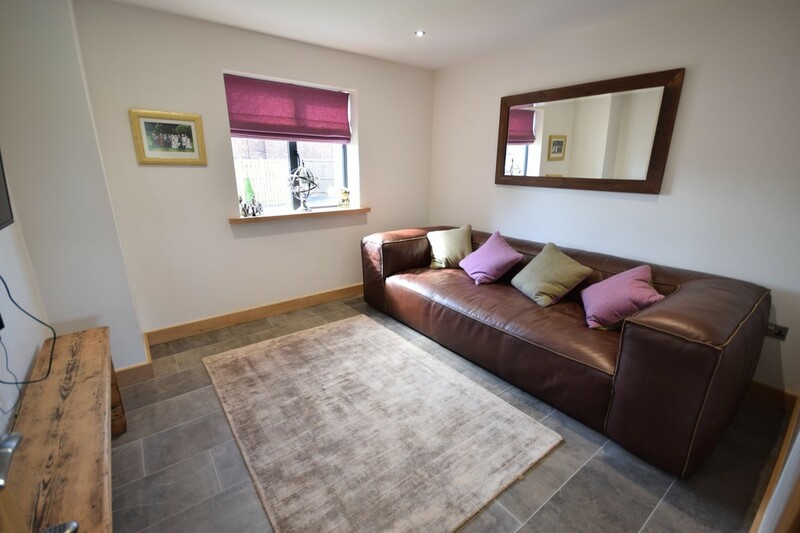 There is a range of light grey wall and base units with contrasting work preparation surfaces, including breakfast bar, warming drawers, integral fridge and dishwasher, steam oven, separate oven, wine cooler, extractor fan, bi-fold doors out to the gardens and patio, log burner adding extra warmth, which all opens out to a lovely and comfortable sitting area. There are internal doors which open to the snug, office, and utility. 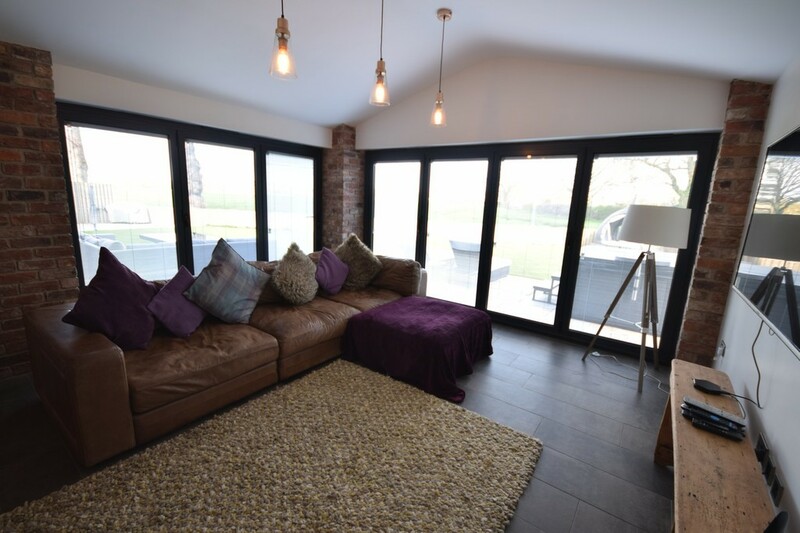 SITTING AREA 13' 9" x 12' 3" (4.19m x 3.73m) A beautiful sitting room just off the living kitchen with bi-fold doors out to the gardens, which also can be a great place to sit and relax and enjoy the open rear views. SNUG 10' 9" x 11' 3" (3.28m x 3.43m) A comfortable front facing room can be quite versatile and is currently used as a quiet place to sit, relax and read. There is a tiled floor, socket points, and window to the front elevation. STUDY 10' 10" x 8' 11" (3.3m x 2.72m) The study is conveniently situated off the living kitchen and can be quite versatile and has various socket points and window to the front elevation. 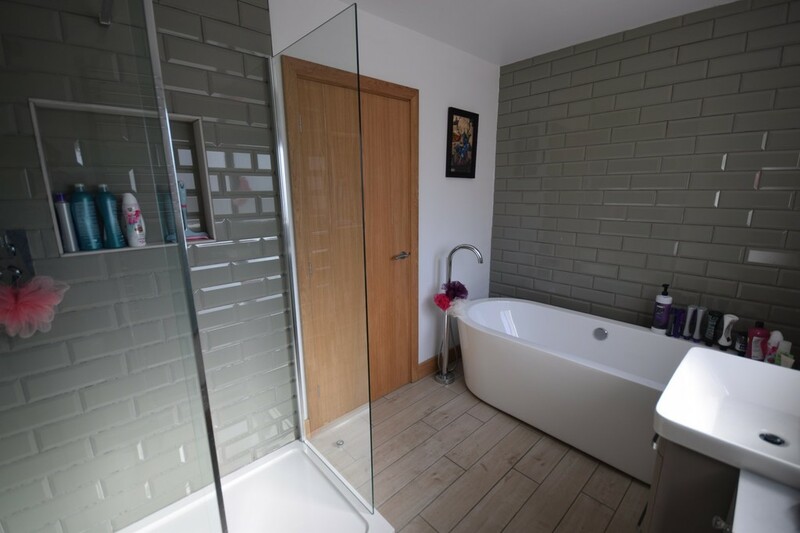 UTILITY ROOM Having a range of contemporary units, sink, plumbing for a washing machine and drier, door to garage, rear door to the gardens, and a door to the downstairs w.c.
DOWNSTAIRS W.C. A modern 2 piece suite including w.c. and wash basin. 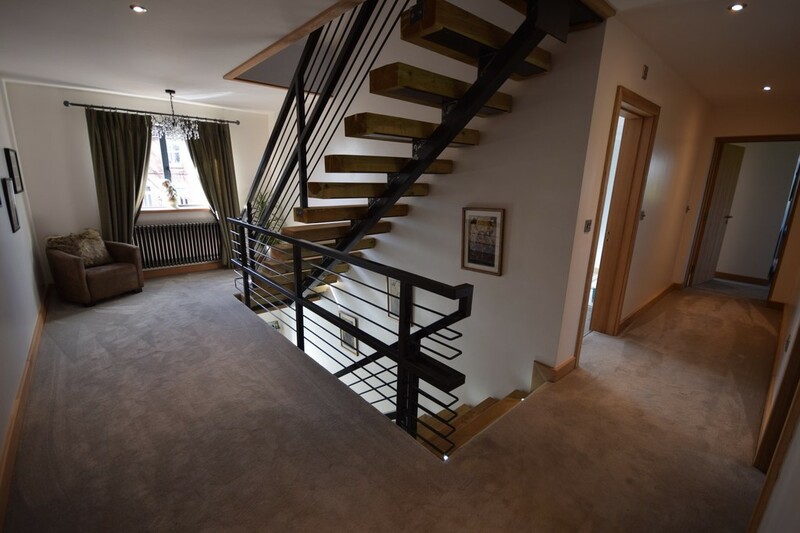 FIRST FLOOR LANDING Having Oak internal doors to the main bedrooms, family bathroom, rising wrought iron and sleeper staircase to the second floor, and window to the front elevation. 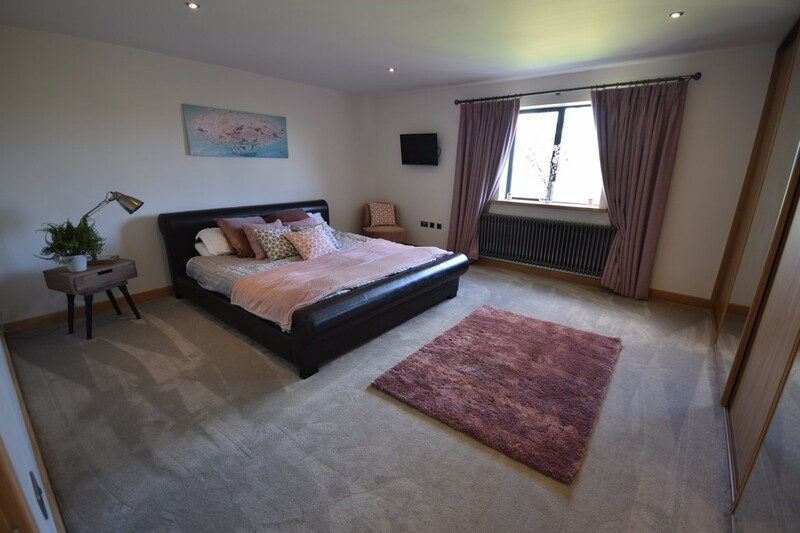 BEDROOM 1 15' 9" x 15' 6" (4.8m x 4.72m) A beautiful master double bedroom which enjoys a dual aspect to the side and rear, where the views can be appreciated. 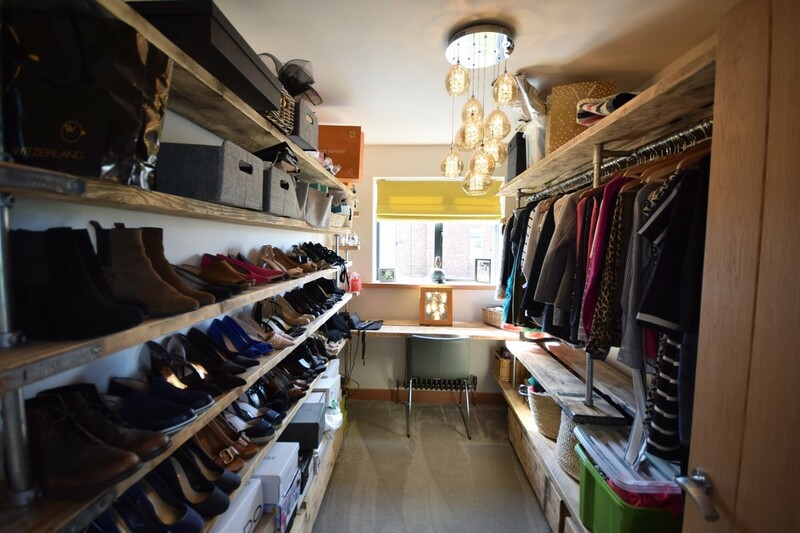 There are socket points, internal doors to the walk-in wardrobe. WALK IN WARDROBE 10' 6" x 6' 8" (3.2m x 2.03m) Having a radiator, window to the front elevation. ENSUITE BATHROOM A contemporary and stylish ensuite incorporating a modern free standing bath having chrome fittings, separate shower cubicle, w.c. and wash basin. There is a chrome towel rail, tiling, and an obscure window. BEDROOM 2 15' 3" x 15' 7" (4.65m x 4.75m) An excellent double bedroom having various socket points, radiator, double glazed window enjoying the garden and rear views, downlights to the ceiling, and a great feature is the door that opens to the walk-in dressing room and into the ensuite bathroom. DRESSING ROOM 8' 2" x 11' 3" (2.49m x 3.43m) A walk in dressing area with wardrobe and internal door to the ensuite bathroom. 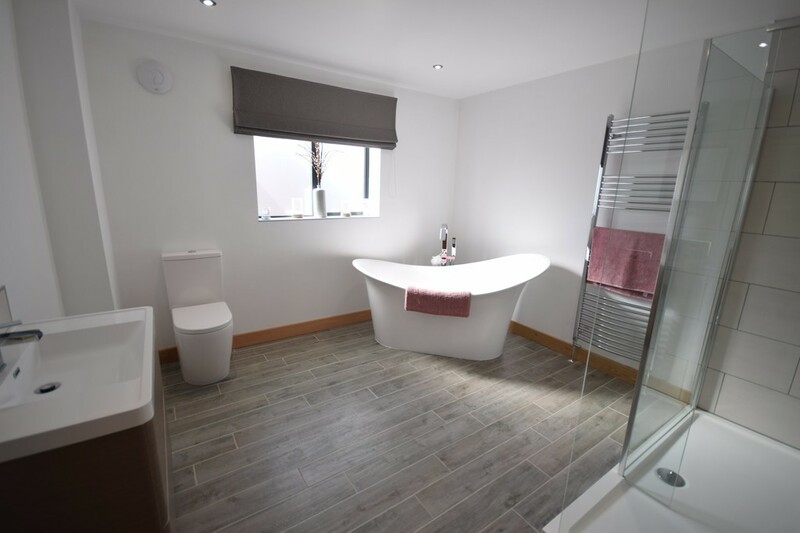 ENSUITE BATHROOM A modern and contemporary ensuite providing high quality fittings, bath with separate shower cubicle, w.c. and wash basin. 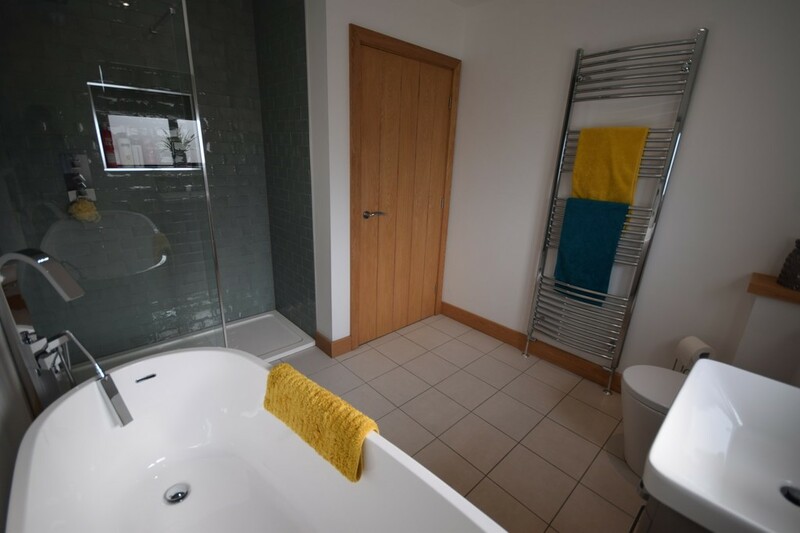 There is a chrome towel rail and double glazed obscure window. 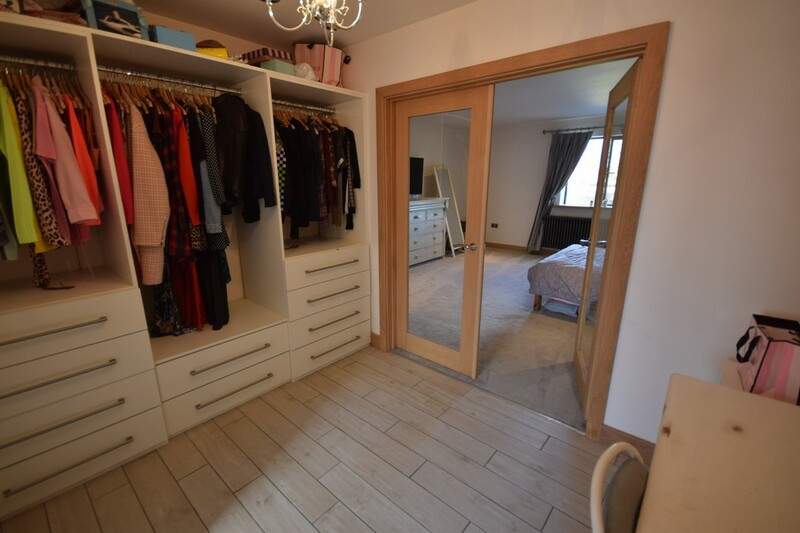 BEDROOM 3 15' 1" x 15' 3" (4.6m x 4.65m) Having a large range of fitted wardrobes and storage to one wall with sliding doors, numerous socket points, radiator, and double glazed window enjoying the rear views. BATHROOM The bathroom is contemporary in style having a bath, separate shower cubicle, w.c. and wash basin. There is tiling and is of good size. 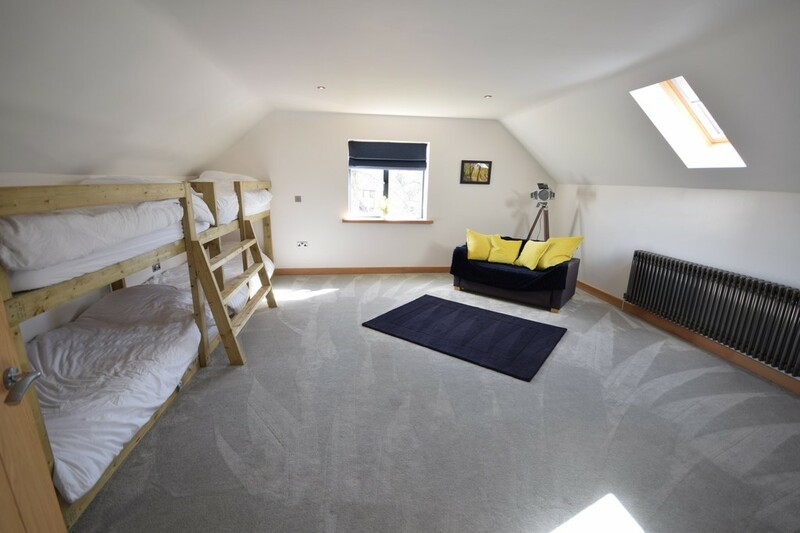 SECOND FLOOR LANDING Giving access to storage eaves space, loft with pull down ladder, and internal doors to two large bedrooms and a further second family bathroom. 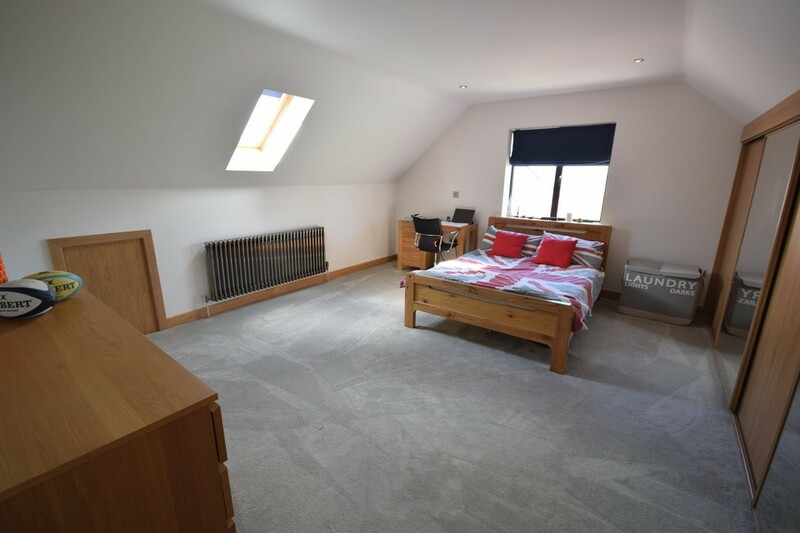 BEDROOM 4 17' 4" x 9' 7" (5.28m x 2.92m) A great double bedroom, excellent in size, having a Velux window to the front, window to the side, downlights to the ceiling, radiator, and a nice standard of internal presentation. BEDROOM 5 13' 5" x 15' 10" (4.09m x 4.83m) A double bedroom having radiator, Velux windows, window to the side elevation, radiator, and a good standard of internal presentation. SECOND FAMILY BATHROOM A beautiful and luxurious second family bathroom including a bath, separate shower cubicle, w.c. and wash basin. 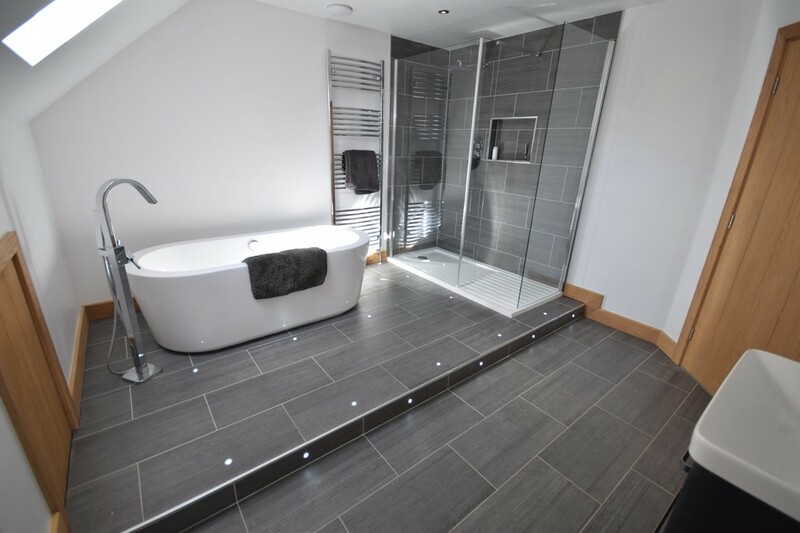 There is a chrome towel rail, spotlights to the flooring, and a great standard of internal presentation. 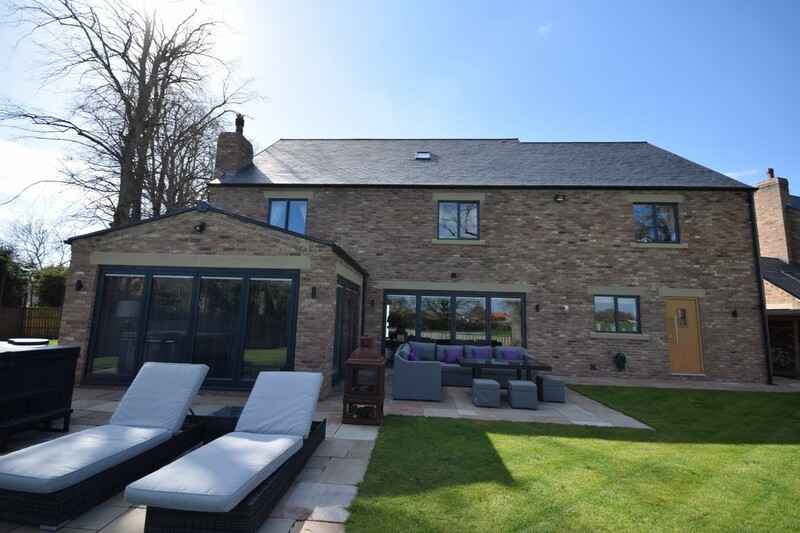 OUTSIDE This beautiful property is approached by electric gates via a shared driveway including package treatment plant and air source heat pumps. INTEGRAL GARAGE With personal door leading to the utility. REAR GARDENS The rear gardens stretch along the side and rear of the property, great for the family, being large in size, and enjoy beautiful paving slabs and patio to the rear, which all enjoy the great farmland views. 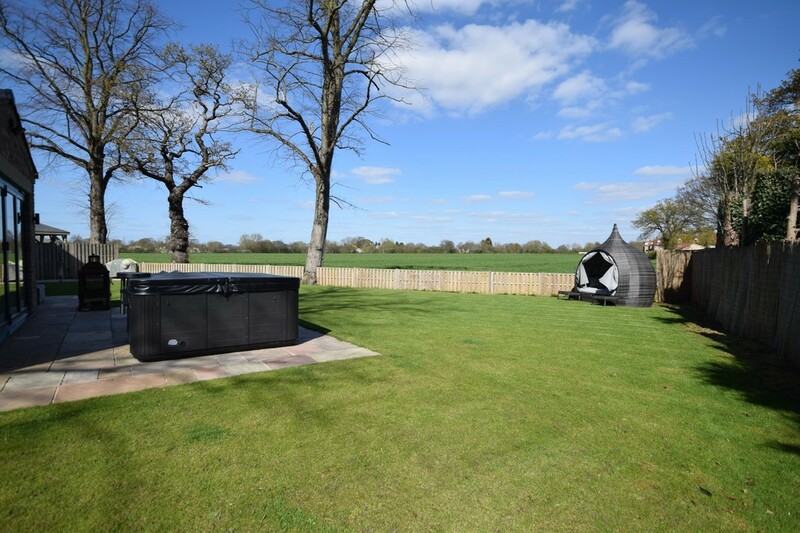 SPECIAL NOTE We understand the property has package treatment plant and air source heat pump, and buyers should make their own enquiries.